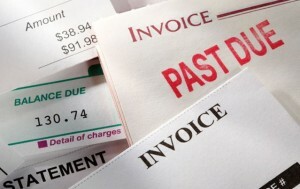 Finding yourself in debt that seems to be out of control can be devastating. It may seem like there are no answers in sight and that you will face financial uncertainty for the foreseeable future. The truth is, there are many things that you can do to take control of your finances and debt and turn your life around to a secure financial future. The first thing that you must do is get organized. Know exactly what debts you have and how much you owe. Make a list of due dates and payment amounts. If you want to master your debts, you must control them. Once you know where you stand, you can make the right decisions to overcome your financial problems. It may not be practical to take on a second job to cover your debts, but you may be able to still earn some extra money to help pay down your bills. Spring clean your home and have a garage sale, post stuff for sale on an Internet auction site, or sell handmade crafts to earn extra money. If your debt is bad but you still have pretty good credit, consider a consolidation loan. A personal loan that is used to pay off all or most of your other debts will reduce the number of payments you have to make each month and will significantly reduce the amount you pay in interest. A personal loan can have an interest rate of half or less than a credit card, saving you additional money over time. You may be able to work with your creditors to restructure your debts. This may be done by lowering interest rates, reducing monthly payments, or extending repayment times. This will take a little work to do, but it is possible if you are persistent. If you feel that you are just too far in debt and cannot find any relief, you may want to consider bankruptcy protection. Bankruptcy is an effective way to eliminate unsecured debts and restart your finances. There are different types of bankruptcy protection that are available. Speak to a bankruptcy attorney at the Law Office of K. Hunter Goff to determine which method of bankruptcy would provide you with the most financial relief. Overall, debt can be frustrating and scary. It may feel like you will never have it under control. Thankfully, your debts are just making you feel overwhelmed. You can take control of your debts, regardless of how bad they are. You just need to select the right method for your situation.